I am not an amusement park enthusiast by any means. I went on a roller coaster only once growing up. I was 15 years old and I visited Canada's Wonderland with a friend. After we rode the coaster I felt nauseous and I had to sit with my head between my legs. And that was that. Never again, I said. 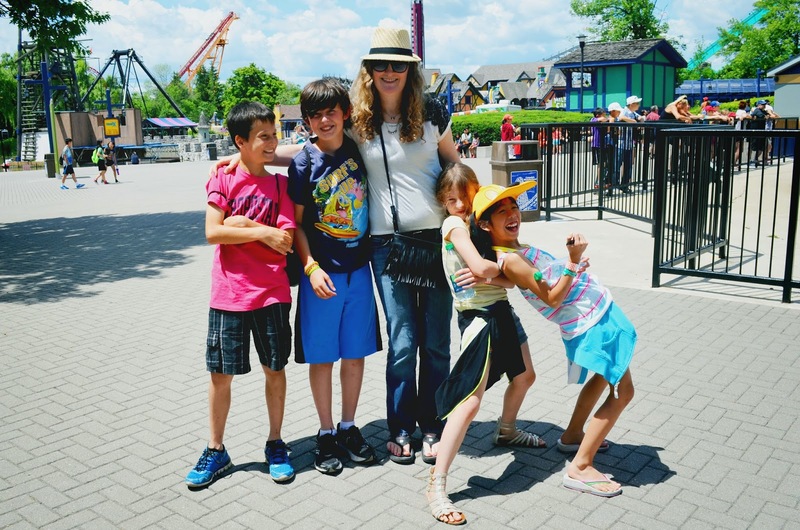 But when I was invited to a blogger event at Canada's Wonderland recently, I of course said yes for the sake of the kids. Each of my kids invited a friend, because a) anything is more fun with friends and b) my daughter won't go on any scary rides, leaving my husband (who has his clear ride limitations) partnering up with the boy. 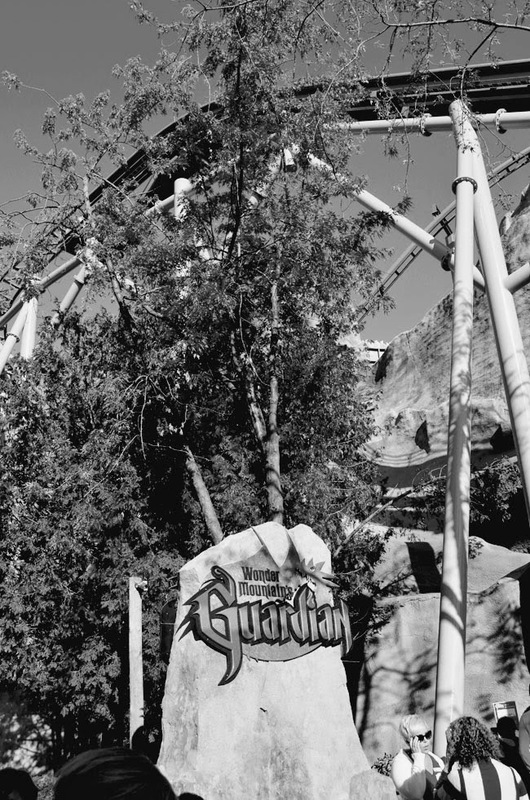 We were given exclusive ride time on Canada's Wonderland's latest ride - Wonder Mountain's Guardian. The park wasn't even open yet - the kids thought that was pretty cool. Here's my husband on Wonder Mountain's Guardian. The boys are facing backwards. (Facing backwards is one of my husband's ride limitations.) After the trio of males tested the ride and said it wasn't too scary, I agreed to give it a try. There is only one "roller coaster-like" descent. The rest is inside the mountain, where you get to shoot at targets. Plus, there is a scary little surprise inside. But nothing I couldn't handle. I was having a braver than normal day I guess, because I also took a ride on Silver Streak, a "junior inverted coaster." Which basically means the track is above you rather than below. I didn't find it too scary but it was a bit bouncy in the head and neck area and I'm sensitive about my neck. So that was enough for me for one day. 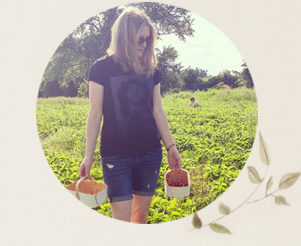 I was also photographed without a hat after wearing one for a few hours. That's pretty brave too. 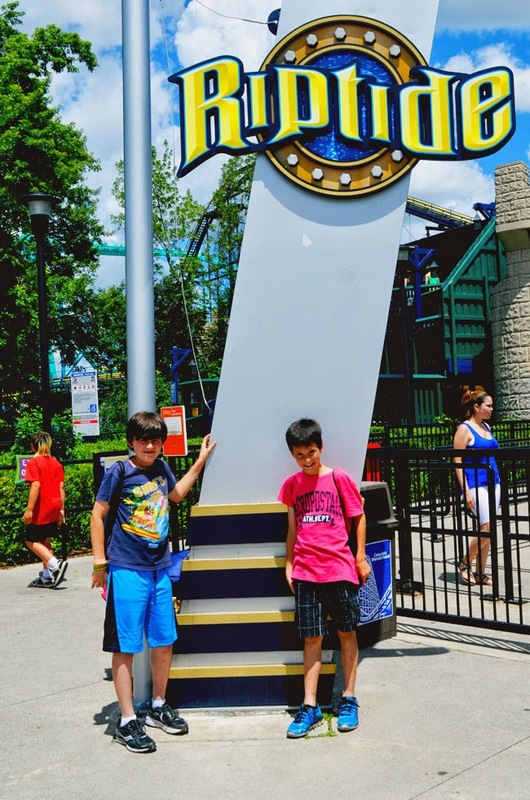 The boys, on the other hand, hit as many rides as they could, including Riptide, which turns you 360 degrees and is way out of my comfort zone. 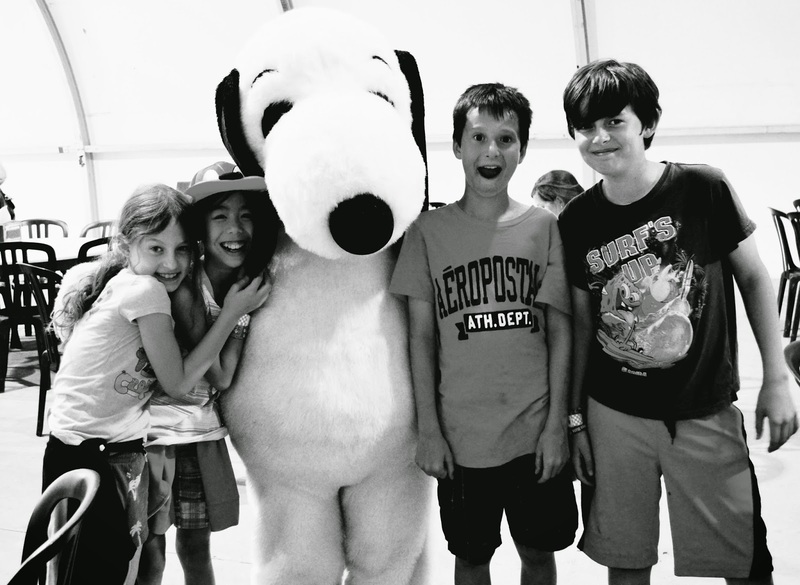 The kids also enjoyed hanging out with fun characters like Snoopy. 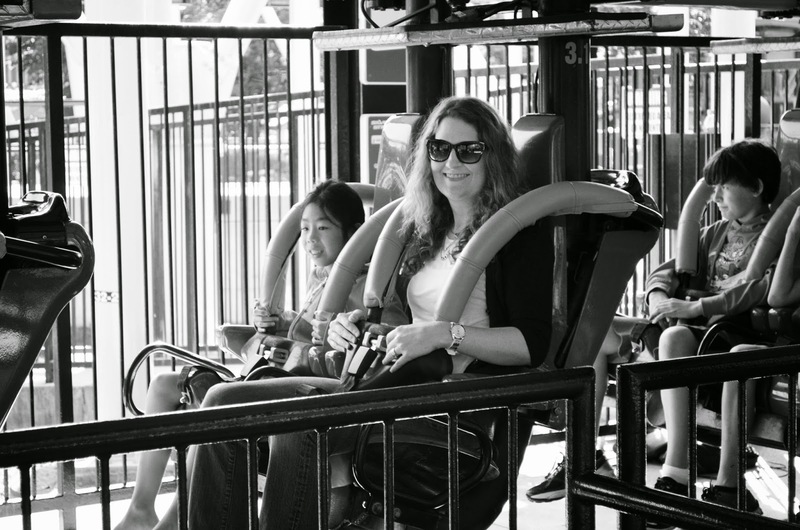 The great thing about Canada's Wonderland is that there are rides for every comfort level. My daughter always likes a gentle ride in the popular swan boats. 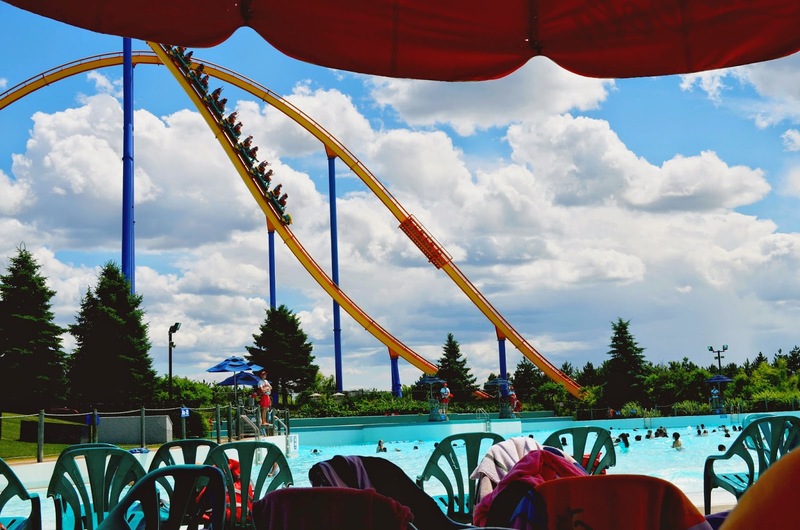 We spent the afternoon cooling off at Canada's Wonderland's giant Splash Works water park. 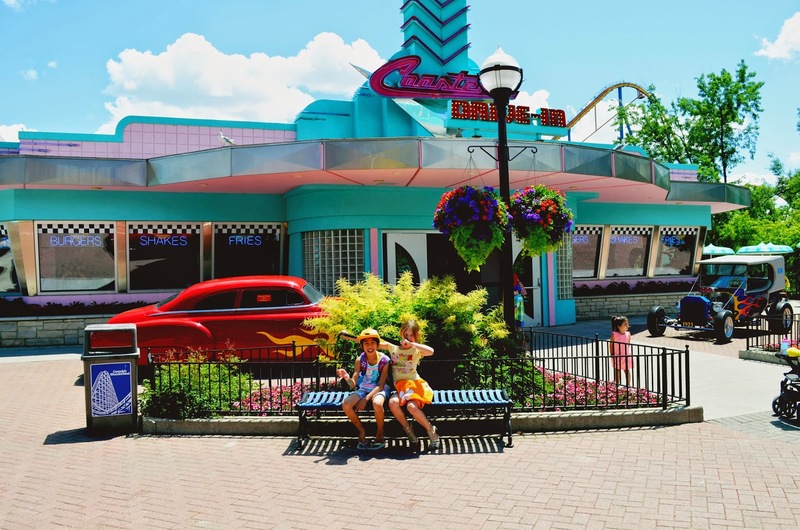 My daughter loves it there because you can take a cooling ride down the Lazy River in a tube or swim in White Water Bay, Canada's largest outdoor wave pool. 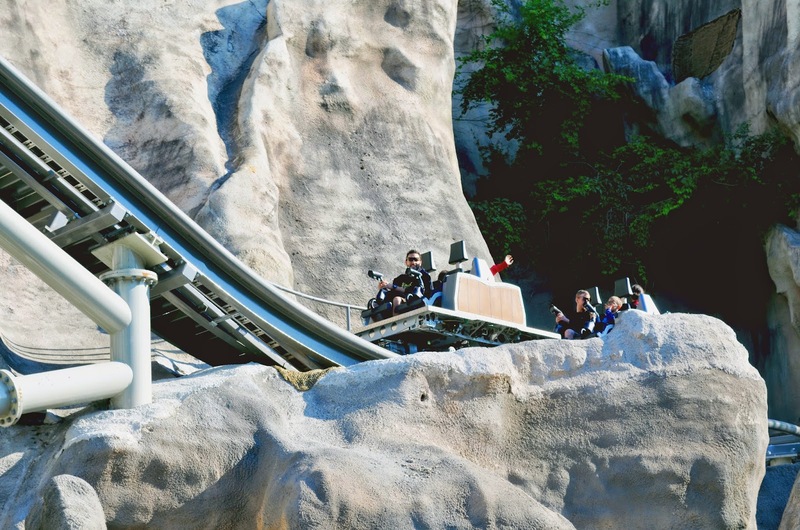 It's surreal to see people speeding down the huge Behemoth roller coaster while you are sitting poolside. What about you? Amusement park daredevil or big ole chicken? 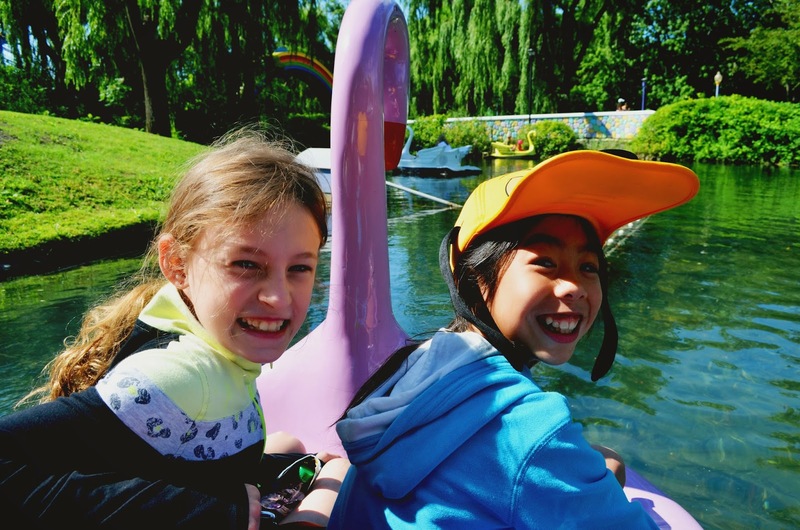 My kids were just the opposite - the girl would go on any ride, the boy - no crazy rides, at all! One trip to Wonderland for him and that was the last!!! I never like the fast rides either but I surprised myself at Universal Studios!!!! Funny your kids were the opposite Jill. My son is a bit cautious, but he grew brave having a friend with him. Universal Studios is fun. I haven't been there for many years, but I do recall liking some of their rides. I can't stand roller coasters! I've never been too big on amusement parks really-- I hate waiting in line lol. Having exclusive access to the new ride is pretty darned cool though. Looks like fun time had by all! Yes, waiting in line can be brutal! 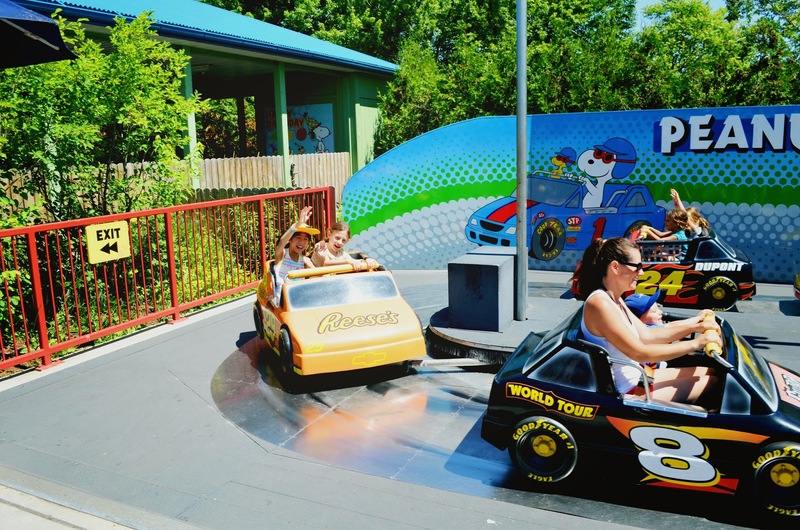 Exclusive ride time is definitely a treat! I haven't been to an amusement park since I was a kid, what fun! I'm sure there are some roller coasters in my future. I always would be super excited, until the moment ride started... and then I'd beg for it to stop ;) good for you being so brave!